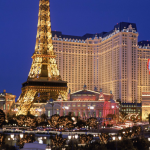 Want to go to Vegas on a budget? It's possible! 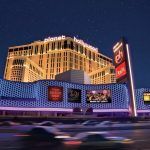 39 million people visited Las Vegas in 2017. This makes it one of the world's tourism capitals. 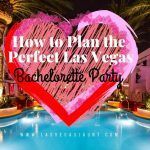 But what if you want to go to Vegas on a budget? Is it possible? Well, you're in luck! We've created the ultimate guide to free and cheap things to do in Las Vegas just for you. 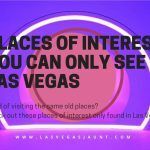 To start off this list, we have to start with a Las Vegas classic: snapping a picture in front of the Welcome to Las Vegas sign. In the past, this was actually kind of hard to do because the sign was just on a median, but these days it's much simpler. With its own dedicated parking lot, you can head over and spend as much time as you want in front of the sign until you get that perfect shot. This is guaranteed to give your friends a little FOMO. Vegas is known for being larger than life. And that even applies to our fountains. Right in the middle of the strip, the Bellagio fountains are a Las Vegas landmark. More than 1200 jets launch streams of water 460 feet in the air, all choreographed to music and timed with beautiful lights. And while the show plays multiple times throughout the day, we think it's the most stunning at night. Just walk right up to the front of the Bellagio and get ready for the most incredible fountain show you've ever seen! Check out the Bellagio's website for the most up to date show schedule. While you're at the Bellagio, don't miss their iconic conservatory gardens inside. Every season, the entire place undergoes a transformation with thousands of flowers, trees, and all types of decor. Each season has a unique theme and flowers are used to create entire structures, including animals and buildings. The best part is that The Bellagio recycles 90% of the foliage every time they change it. This is truly a world class garden that you can access for free. Don't miss it! One of the greatest things about Vegas is simply strolling the strip. How come? Every hotel is themed to the max and it's truly a spectacle for the eyes everywhere you turn. One of our favorites is the volcano show at the Mirage. Out front and completely free for all, a massive display volcano erupts every 30 minutes every night. But it's not just that. They've now added flame shooters, a specialized soundtrack, an entire lake and lighting effects. Check it out every half hour starting at 5 pm until 11 pm. This is especially great for kids! It's no secret that not all the hotels on the strip are authentic. For example, the Luxor sphinx doesn't exactly make you feel like you're in Egypt and the New York New York Statue of Liberty isn't the same as Lady Liberty. But The Venetian, on the other hand, is remarkable. Take a step inside the hotel lobby and soak in the ambiance of Venice, Italy. Inside you'll find canals, opera singers, accordion players, gelato, cannolis, and most of all, gondolas! Both inside and outside, the gondolas float down the canals, gondoliers singing, and beautiful music playing throughout the property. It's a definite Las Vegas highlight. After you're done with the strip, it's time to get some fresh air! The Las Vegas region is home to a unique array of desert plants and cacti. And the Ethel M Chocolate Factory and Botanical Garden have them all. Even better--it's totally free. After you take a stroll through the gardens, head inside to the chocolate factory for a tour. Here, you'll learn all about how they make their gourmet chocolates. And if you want to take some home as a souvenir, there are all kinds of options! This is definitely a highlight when it comes to cheap things to do in Las Vegas. Just 10 miles south of the city is a one of a kind earth art installation you have to see called Seven Magic Mountains. As you're driving down the desert freeway, in the distance you'll see seven large towers of colorful boulders stacked on one another. Each boulder is a different color and each tower stands more than 30 feet tall. It's truly a magical experience to be surrounded by them! Swiss artist Ugo Rondinone installed the piece in 2016 and it's set to be removed in late 2018. Since it's been so popular, there are talks to leave it longer, but to be safe, go see it before it's gone! 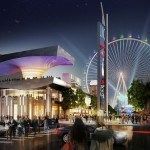 Our list of cheap things to do in Las Vegas wouldn't be complete without the Slotzilla Zip Line. 114 feet above classic Fremont Street, you can glide through this Las Vegas landmark, right through all the lights and music, zooming past the vintage hotels. You'll start at the top of a 12-story structure and then fly 850 feet through old Las Vegas. Maybe you've done a zip line out in the open air, but you've never done one like this. Another thing you have to check out is the world's largest gold nugget. No, it wasn't found here in Las Vegas, but it's here now because--it's Vegas. Of course it's here! Actually found in Australia back in the 80s, it was sold to The Golden Nugget Hotel and Casino for more than a million dollars. And now it's on display for anyone to see. What's even crazier? It weighs more than 61 pounds! Check out this world wonder in the hotel lobby on Fremont Street. As VitalVegas.com reported, the Golden Nugget Las Vegas has loaned the original gold nugget to their sister property in Biloxi which means, at the moment, the nugget displayed in Las Vegas is a replica. 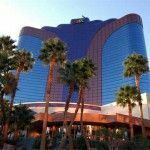 Are you heading to Vegas soon? 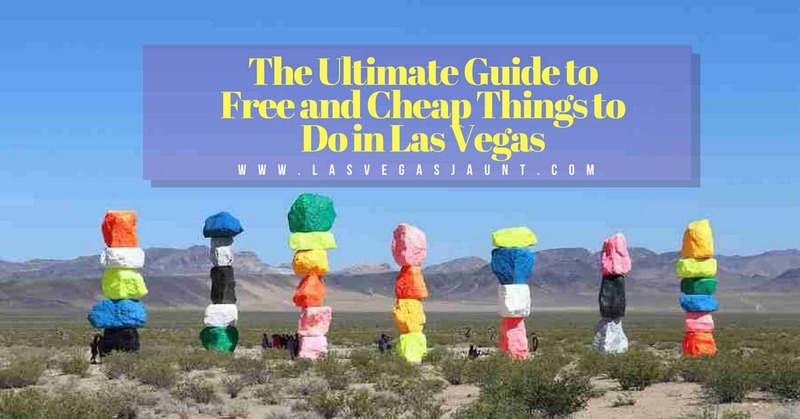 Now that you've read this ultimate guide to free and cheap things to do in Las Vegas, try them out! And check out our blog for more things to do while you're there.